New season, new you? 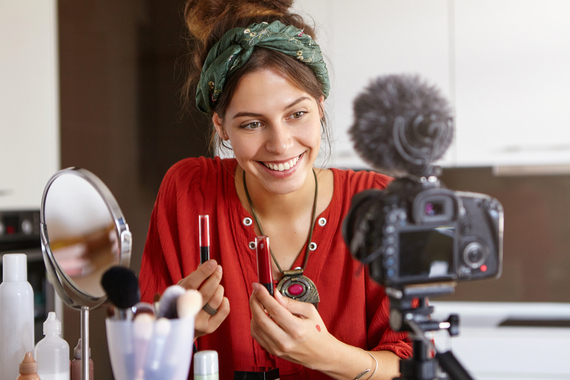 One of the easiest ways to reinvent yourself is to overhaul your makeup. 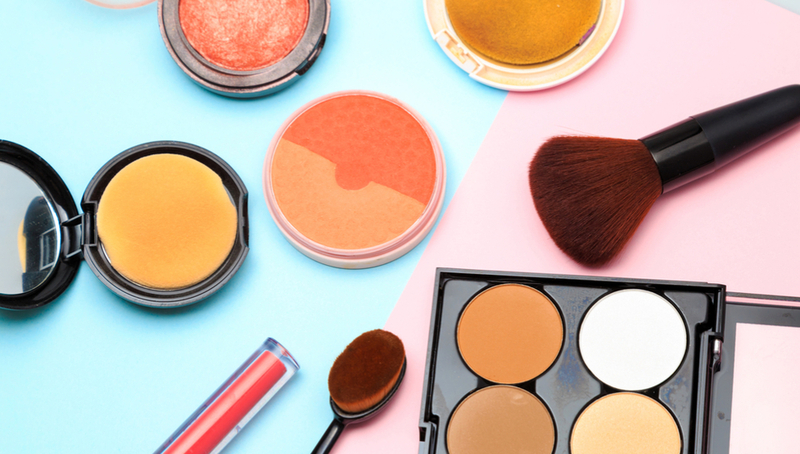 Here, four great makeup trends that will take you through the summer. Spring represents a new beginning, and while the no-make-up look isn’t exactly new, there’s no denying that it’s having a moment all over again. Celebs and models alike are paring back their routines for that barefaced, fresh glow. Don’t be shy– let your natural beauty shine through. This look starts with a good skincare routine, so add an exfoliating cleanser to your daily regime to slough away dead skin that can instantly zap radiance. Priceline has a great range of daily exfoliators to choose from. Use a moisturiser or serum with the words “radiance”, “brightening” or “illuminating” in the title, as they will help brighten and hydrate your complexion. To get spring’s most-wanted gleam, cover blemishes with concealer then mix a liquid illuminator into your foundation and blend onto your cheek and brow bones, the top of your forehead and the bridge of your nose for ridiculously glowy skin. To freshen up on hot days, use a hydrating face mist such as Herbivore's Rose Hibiscus & Coconut from Sephora. Red lips are a classic, but unlike previous years’ big matte red lips, this season is more understated, wearable and easier to achieve. Not only is it an instant face brightener, it makes your teeth look whiter, too. 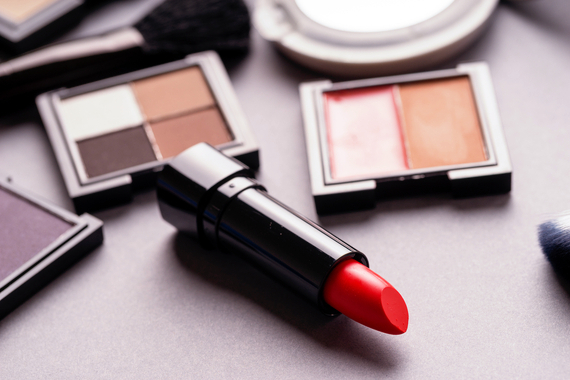 Try the range at MAC, we recommend Russian Red. The best way to wear red is to keep the rest of your look simple and choose the right shade to suit your complexion. If your skin has warm undertones, you can pull off orange-based hues. Fair skins suit raspberry shades as they complement and warm up cool pink undertones, whereas medium-light skins should go for a pinkish red. The satin lipstick finish is back in vogue, which is great for keeping your lips hydrated and easily applicable with your fingers or lip brush. Pair your stand-out pout with brushed-up brows and a flawless complexion. Bronze skin never goes out of fashion. Who doesn’t love looking like they have a bronzed glow after being pale all winter long? This season, bronzing has got smarter thanks to powders being formulated with antioxidant-rich ingredients that neutralise free radicals caused by the sun. Just remember the golden rule of application: less is more. Use a large brush to lightly dust powder over the areas of the face where the sun naturally hits – forehead, bridge of nose, cheeks and chin – gradually building up the colour. Of course, you could always cheat and grab a fabulous body bronze at Ella Bache. Forget the classic smoky eye, this season it’s all about the smudgy eye. The best way to get the smudge effect is to blend a sooty grey shadow over the entire eyelid – ones with a slight sparkle will keep it lightly subtle. Chemistworks beauty range has a classic selection of shadows. Finish off by adding definition with a black kohl pencil smudged along the lash line to give it that “late night, early morning” feel. Finish with two coats of black mascara and remember: the less perfect it looks, the better.